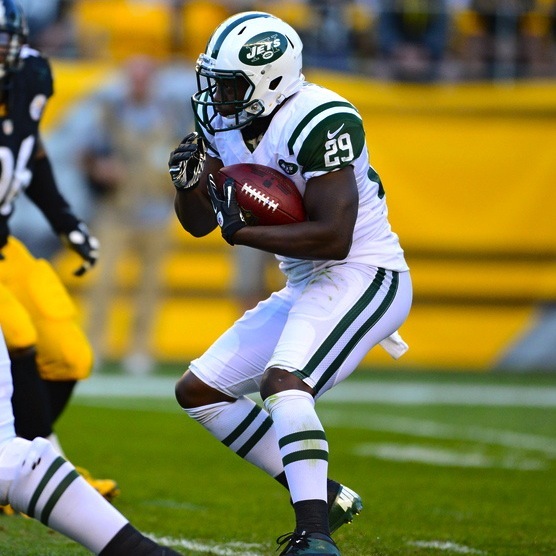 Bilal Powell was the New York Jets' No. 1 tailback by default when the team decided to part ways with Shonn Greene after the 2012 season. But with Goodson away from camp for personal reasons and injuries preventing Ivory and returner Joe McKnight from making the trip to Detroit for the Jets' preseason opener against the Lions, Powell is again in the driver's seat. In fact, the Jets listed the third-year back as their No. 1 option on the first edition of their depth chart earlier this week. "... everyday I come in, whatever opportunities (are) given, whenever my number is called, I just try to take full advantage of it," Powell said Tuesday. Those opportunities have been plentiful in the absence of the other tailbacks, so much so that new Jets offensive coordinator Marty Mornhinweg explained Tuesday that the team is trying to monitor Powell's reps. As the same time, they want to give him a chance to prove himself. "We certainly don’t want to overwork Bilal," Mornhinweg said. "I will tell you, he’s one of several that have had a terrific training camp. He’s shown up." Powell averaged 4 yards a carry last season and found the end zone four times in limited action. He also caught 17 passes for 140 yards. His growth as a passing-down back will be critical in Morhinweg's system.